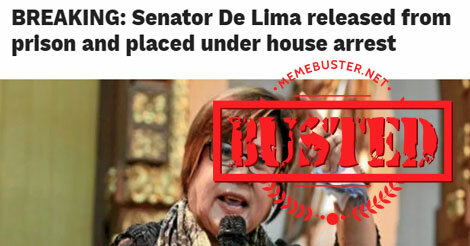 Busted: Queen Elizabeth II congratulates PH Senate for ousting de Lima? 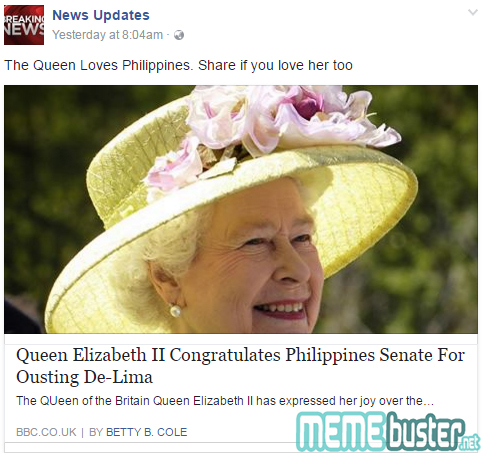 Busted: Queen Elizabeth II congratulates PH Senate for ousting de Lima? Another satire! 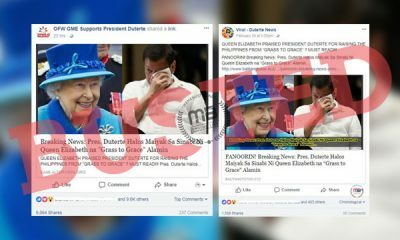 Several articles about Queen Elizabeth II of the United Kingdom congratulating the Philippine Senate for ousting Senator Leila de Lima from her committee chairmanship have been circulating on Facebook. 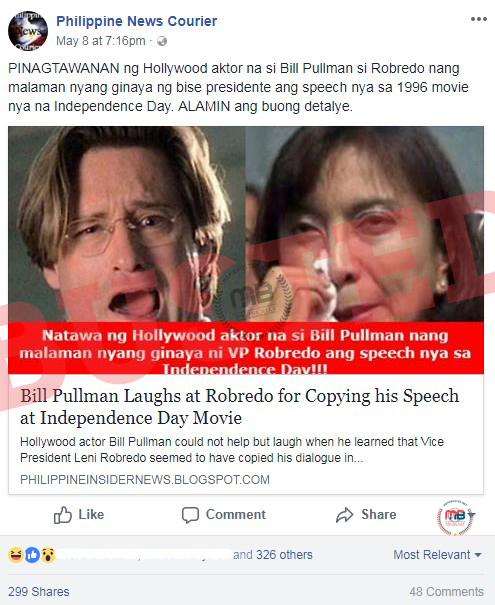 Facebook page News Updates was among the first pages to share the article. 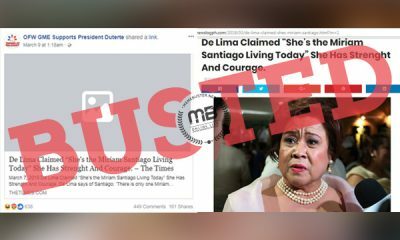 The article from bbc101.co.uk claimed that the British monarch “expressed her joy” over de Lima’s September 19 ousting from the Senate committee on justice and human rights that led the investigation into the alleged extrajudicial killings linked to the war against drugs. 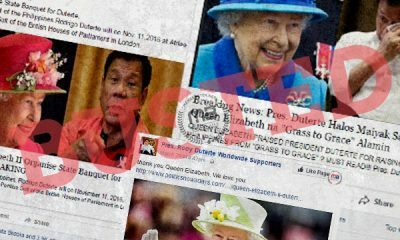 The Queen supposedly encouraged President Rodrigo Duterte to continue with his campaign against the illegal substance. 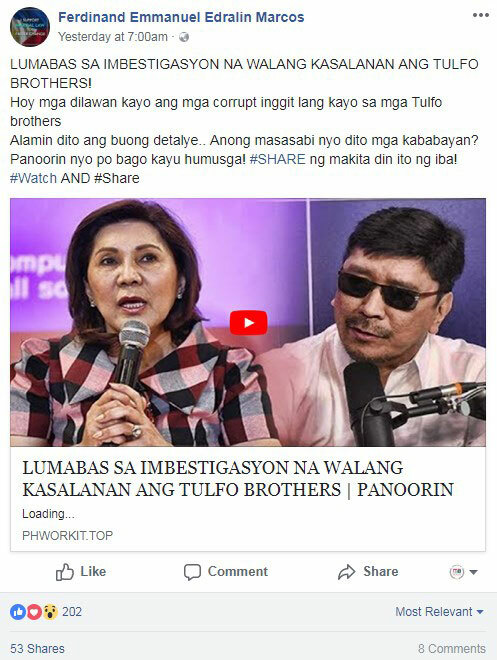 The BBC101 article even quoted Senator Sherwin Gatchalian as he reasoned that the senators removed de Lima from her committee because she was using it “for the fulfillment of personal political vendettas.” He was also quoted saying that while the decision was difficult, it was the right choice for the sake of maintaining the Senate’s integrity and the interests of the Filipinos. 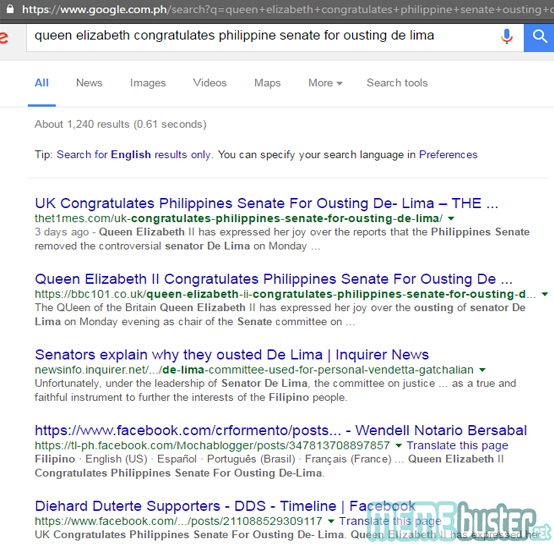 We Googled “Queen Elizabeth congratulates Philippine Senate for ousting de Lima” and these top two results came up. 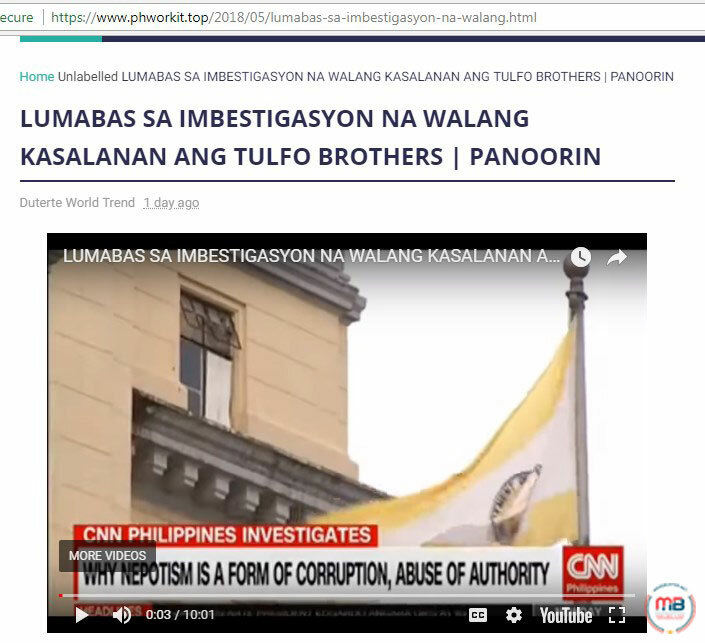 We clicked on the top result, the article from thet1mes.com. 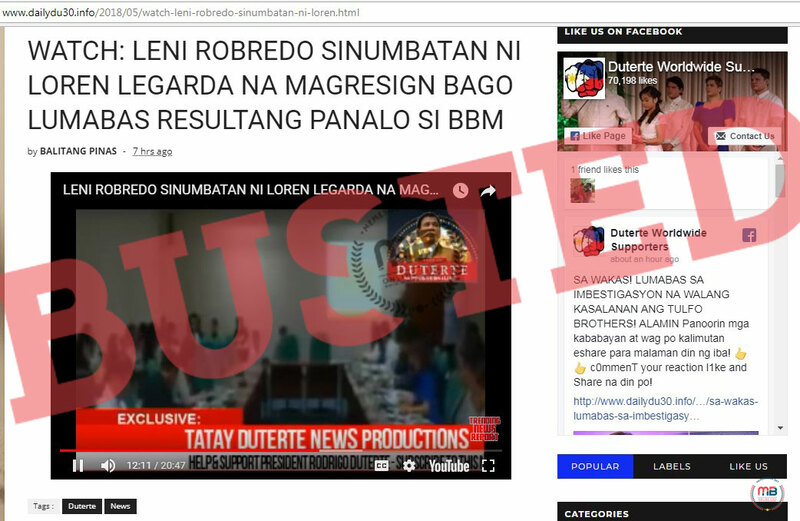 The article claimed the same thing about the queen being happy about the de Lima ousting. However, The T1mes is a satirical blog. 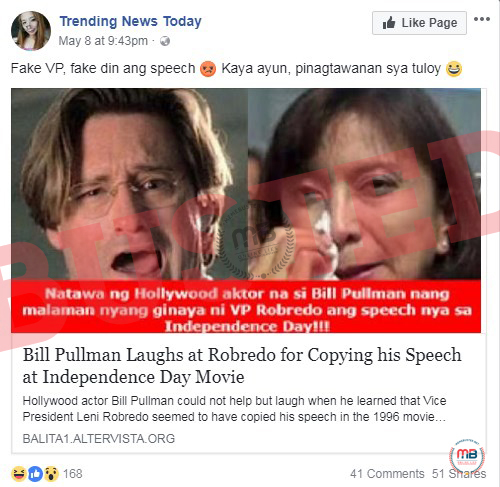 But just like what seemed to be common behavior on social media these days, some netizens did not bother checking the veracity of the information they read online. There are still those who took the article seriously and believed it. 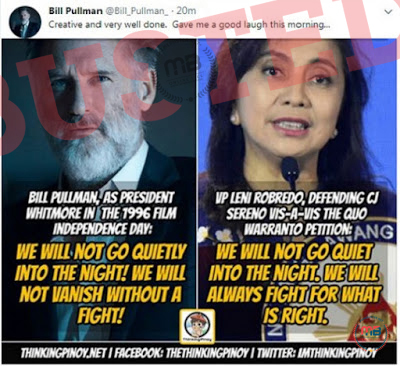 While the BBC101’s quote attributed to Gatchalian was lifted from a Philippine Daily Inquirer article, the part about Queen Elizabeth II commenting on the matters in the Philippines, let alone congratulating the Senate, is absolutely not true. It was lifted from a satirical article and spun to make it seem real. 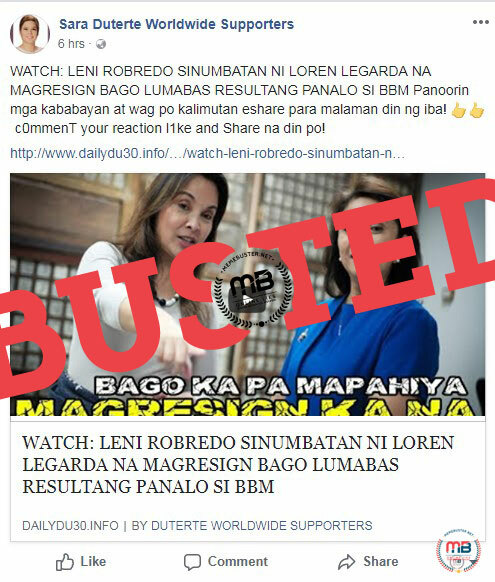 Busted: Documents accusing Aquino admin of depositing gold in Thailand are fake and full of inconsistencies! 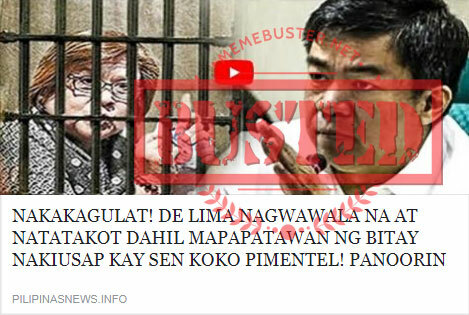 Busted: Duterte, Pacquiao to give jobless Pinoys allowances? 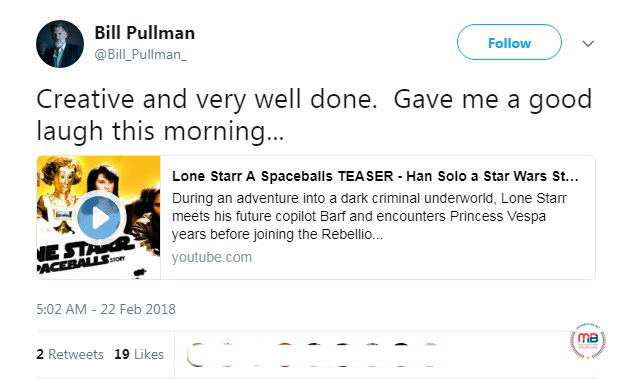 Totally made up story!